I have been inspired by the current Succulent Trend in sewing and crafting to create some patterns. I have two giveaway prizes on this post so there will be two winners. The first prize is a drawstring bag that I created especially for Giveaway Day using my Kawaii Cacti embroidery pattern. I will send this handy project bag (8 inches wide by 12 inches tall) to one winner as well as my two PDF embroidery patterns. 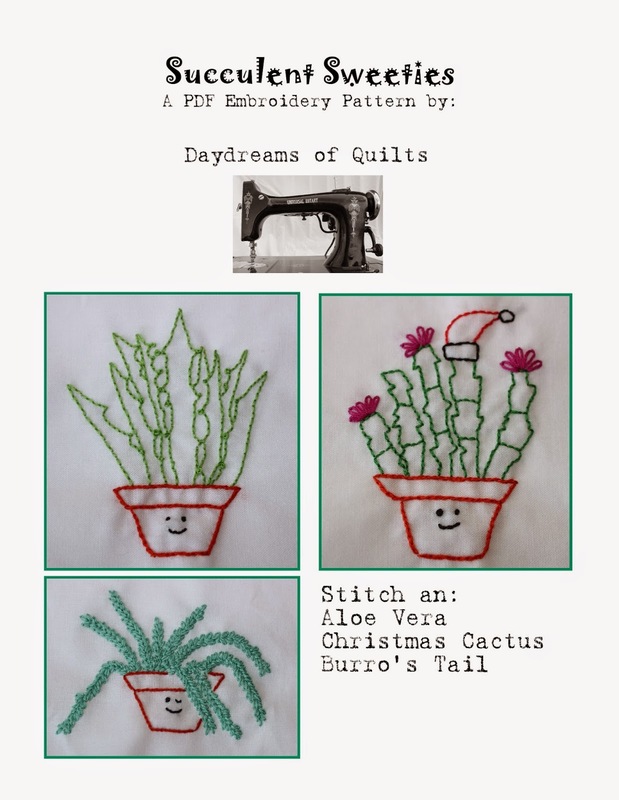 The second prize is my two PDF embroidery patterns "Kawaii Cacti" and "Succulent Sweeties" and a thread kit of floss to make them (as pictured below).